Kim Jong-un, North Korea’s leader, on Sunday. SEOUL, South Korea — North Korea launched a ballistic missile on Monday that flew 280 miles and appears to have landed inside Japan’s economic zone where fishing and cargo ships are active, the South Korean military and the Japanese government said. President Moon Jae-in of South Korea called a meeting of his top security officials for later Monday morning to discuss the missile launch, coming a week after the North last tested a ballistic missile, and Prime Minister Shinzo Abe of Japan condemned the launch as a provocation. The missile fired on Monday appears to have landed in the sea between Korea and Japan, inside Japan’s so-called exclusive economic zone, which extends 200 nautical miles from the coast. There were no immediate reports of damage to any ships or aircraft in the area, said Yoshihide Suga, Mr. Abe’s chief cabinet secretary. At a military parade in April, North Korea displayed several missiles at a time of heightened tensions with the United States. Here’s a closer look at what some of them are designed to do. By MARK SCHEFFLER and DAPHNE RUSTOW on Publish Date April 16, 2017. Photo by Wong Maye-E/Associated Press. The missile was fired from Wonsan, on North Korea’s east coast, and flew for 280 miles, the South Korean military said in a statement. The United States Pacific Command said in its own statement that the short-range ballistic missile was tracked from North Korea for six minutes before it landed in the sea. It was the ninth time the North has tested a ballistic missile this year. In March, when North Korea launched four missiles at once, three of them landed within Japan’s economic zone. 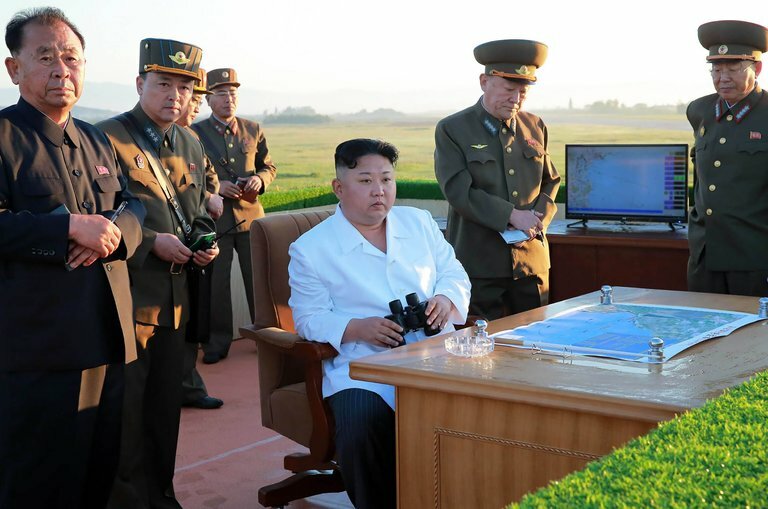 Those launches raised concerns that the North Korean government, led by Kim Jong-un, had developed the ability to pose a greater threat to its neighbors and potentially overwhelm missile defense systems.